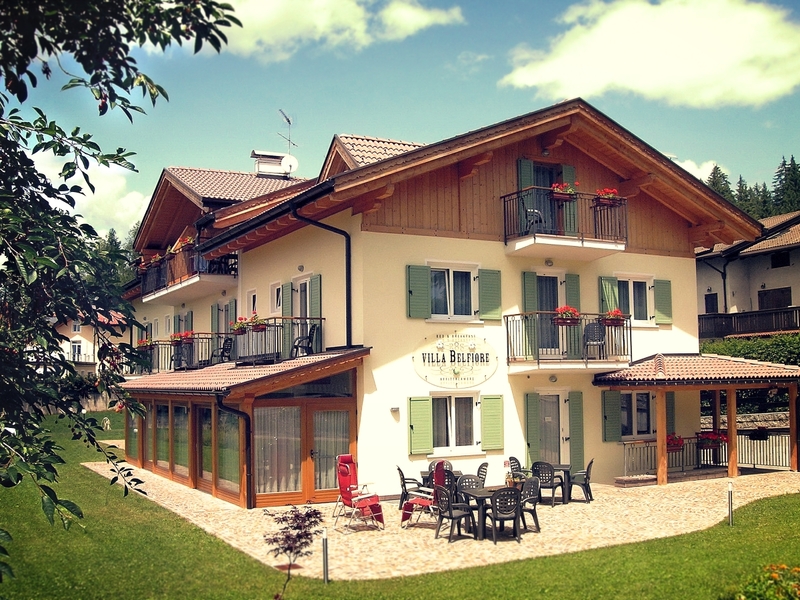 When we decided how to name our house, we thought about the typical agricultural tradition of the Valle di Non, which has its roots in the cultivation of apples. 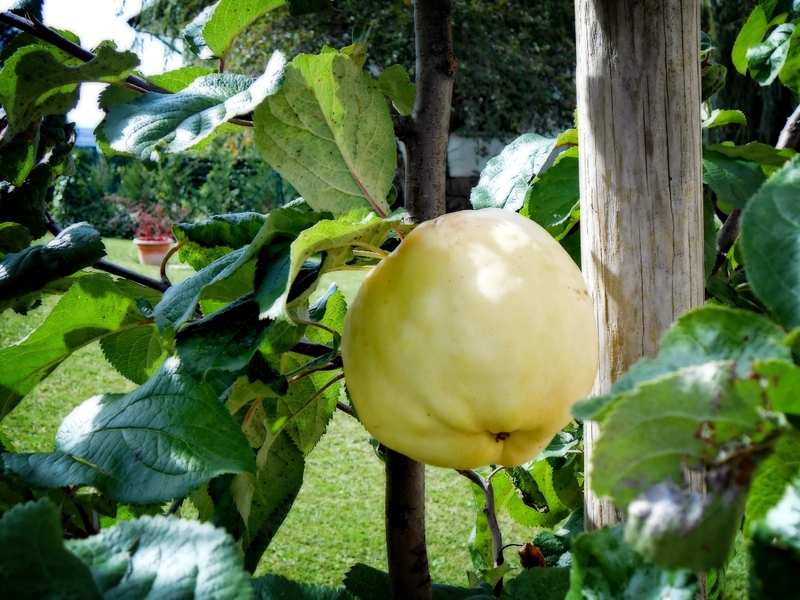 In a garden close by to Villa Belfiore, there is the “Belfiore di Ronzone”, an ancient apple type, originated from one single specimen in 1920 and long confused with the apple type “Belfiore Giallo”. 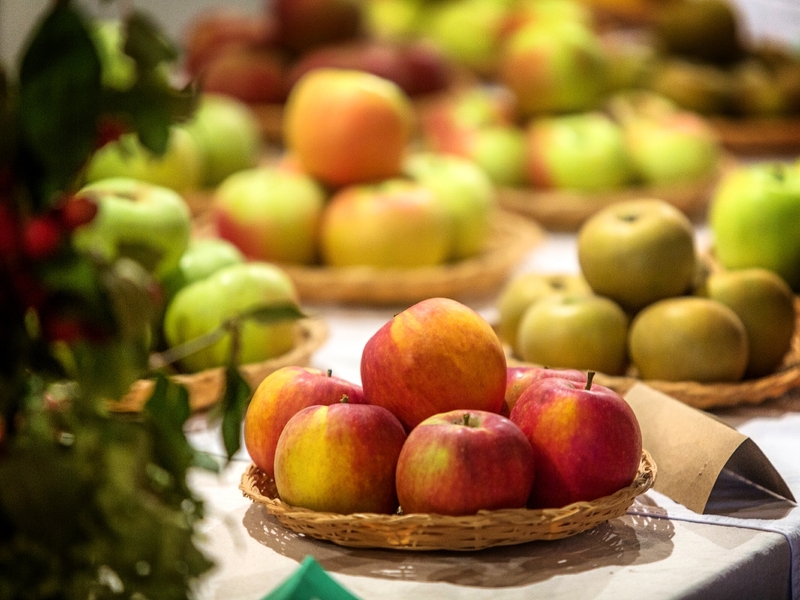 Experts of the “Associazione Spadona di Ronzone”, an association which deals with the restoration and valorisation of ancient fruit types, examined this unique type of apple found in 1998 and they immediately knew that the fruits of the apple could not be of the “Belfiore Giallo”. DNA analysis confirmed their intuition: it was a new apple type, probably originated in a spontaneous mutation of the “Belfiore Giallo”, hence called “Belfiore di Ronzone”. Some seedlings, obtained by taking a sample of the mother plant, have been planted around the garden of Villa Belfiore. The fruit has an intense flavour and smell, a full taste, a little bit acidic and spicy. The flavour remains in the mouth long after it has been tasted. Our structure has a modern biomass fueled boiler, which joined to the solar collectors for hot water production and the photovoltaic panels for the production of electrical energy, allows us to achieve a high energy efficiency and low environmental impact. Our chips are in fact made from pure wood chips obtained from the processing of logs and twigs derived from the maintenance of forests, thus in harmony with the agricultural-forestry to energy and technology. The realization of our heat generator in the plant biomass and solar collectors was funded ERDF Operational Programme 2007-2013 of the Autonomous Province of Trento with the contribution of the European Fund for Regional Development.